Catermeow Goes to College is RELEASED! 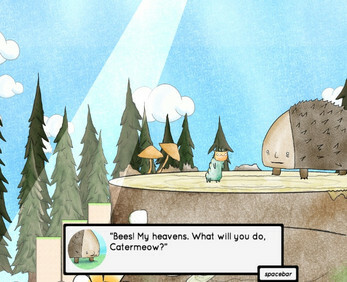 In Catermeow Goes to College you play as a caterpillar cat going on an adventure through the forest. 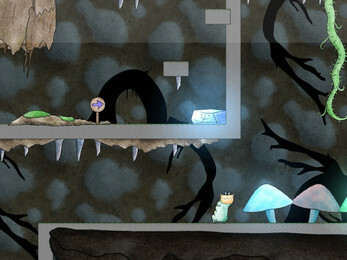 You find and throw seeds to help make your way through the levels. Along the way you talk to some demented forest animals. It is a very short game, taking only about thirty minutes to play through the entire story. This game was made as a collaboration effort by a small gamedev group in Birmingham US over the course of 3 months of diligent work. A lot or hard work went into this silly game. The game is free to play and enjoy. I added you to the fresh games section on the homepage. Thanks for posting!